Series 8/14: Grass Route Social Innovation – Understanding the road towards integrating genuine grassroots social innovation into sustainable development. Mini Series 3/3: Sustainability in Practice – The series researches the values and practices which lead to grass route social innovation. One of the drivers behind the industrial revolution was the developments in the farming industry; this enabled labourers to move to the city and work in new jobs which created large scale economic growth moving society away from extreme poverty. The wealth we experience today is largely due to the ability of the farming community to use new techniques and methods to increase the yield of the crops. The development of new agricultural techniques is therefore important in meeting demand. The issue comes from the development of productivity techniques which are unsustainable and exploit the natural resources of the land. Returning to basics is about using a product which sustainably meets the needs of the community. The steps to achieving this simply require us, as consumers, to value and support sustainable commerce. Throughout the trip to South East Asia I met many social enterprises and they all struggled to engage the consumer, there was however once entrepreneur who was building up an impressive campaign to change public attitude. Anukool Saibejra is a social entrepreneur with a heart for social change and the courage to go against the grain. 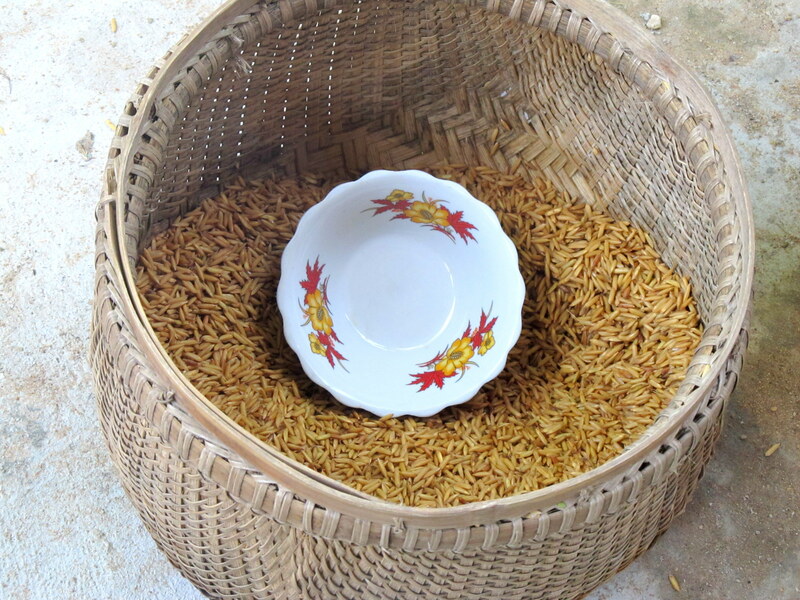 Anukool believes that food security cannot be achieved by creating the perfect grain of rice. Instead Anukool promotes the return to a variety of grain; through a large variety in product the market will be more resilient to risks. 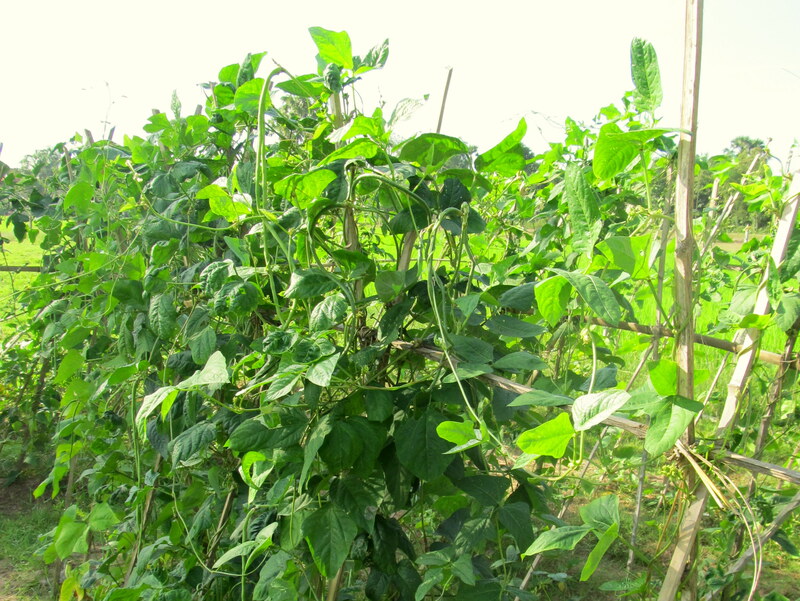 Raised in a farming community, Anukool is well aware of the challenges of modern farming. His parents invested in his future providing him with an education to get him into a stable career. Anukool didn’t just use this opportunity for himself and instead build up a social enterprise going against the grains of society in order to make a positive difference in his community. After creating communities of farmers who believed in his idea Anukool had to work on changing public attitudes in order to change the consumers behaviour; “Behavior and attitudes consumption […] affects the decline or extinction of genetic local rice”. In order to achieve this Anukool set about creating a product design to engage urban communities with the rural environment. Anukool developed a kit in with which you could grow your own mini rice field and find out about the different types of rice and the challenges facing the rural communities. Anukool challenged my understanding of sustainable development, presented with the same facts I would push for a large scale solution using innovative methods. This challenge grew as I met the different social entrepreneurs; they were not searching for the perfect scalable solution but a solution that would work in their community. These designers are not searching for recognition in their designs instead they pursue a passion to make a difference on a human level. As a designer I often pursue innovation, searching for a solution that brings about real shift in the design process. The difficulty with innovation is as a designer I get lost in the wonders of creative engineering, pursuing innovation instead of impact. Innovation in design is great but we need to ensure that this is led by a passion for people rather than products. Maybe the radical shift in sustainably consumerism needs to be led by the design community and how we express ourselves; we need to genuinely communicate what inspires us, what we are passionate about and what challenges us. This will enable us to better connect with the consumer and design a product led by the principles of Human Centred Design. Series 7/14: Grass Route Social Innovation – Understanding the road towards integrating genuine grassroots social innovation into sustainable development. Mini Series 2/3: Sustainability in Practice – The series researches the values and practices which lead to grass route social innovation. Changing the way we perceive and understand our responsibilities and impact is a great path towards sustainable development. Applying Human Centred Design throughout the design process can enable us to design smarter cities, working with the communities to ensure strategic planning leads to a more sustainable and equal society. In this journey to develop new ideas and processes how do we ensure the impact spreads beyond the city? The farming industry is the lifeline of the city, yet in many cases farmers struggle to make a living. As the agricultural industry experience new techniques and processes which increase the productivity, the farmers haven’t seen any of the benefits. Instead the farming community has experience increased demands and stress on their systems whilst becoming more dependent on the consumerist industry. The industry is not sustainable with farmland becoming less productive and farmers struggling to get by. How can we change the industry around and support the farming community? In Thailand the agricultural industry is highly dependent on one player; the farmers rely on supplies and wholesale prices from the same place. This does not just affect the sustainability of the farming community but also reduces the quality of the product. Bryan the founder of Raitong Organics believes he has a solution, and the solution involves going back to basics; we need to change the product. Raitong Organic is encouraging a return to organic farming in South East Asia, working with the farming industry to build up a better quality of life as well as selling higher quality produce. By producing organic products, the farmers are less reliant on the supplies of pesticides and chemicals and can therefore work more independently. The end costumer can then receive seasonal products directly from the producer and support the industry which provides for our urban lifestyle. As designers we often strive towards advancing practices and building better technologies. This model of development can lead to more harm than good; with technology being introduces which isn’t required, needed or sustainable. This can lead to two outcomes; it increase dependency of the community on outside support in maintaining and purchasing expensive goods and services or the technology is abandoned. Both these outcomes are unsustainable; the only solution is to communicate with the customer to ensure that the product fits within their social, environment and economical context. Raitong Organics is a social enterprise that achieves this, they communicate with farmers to discuss products which can empower the farming community. Organic products do bring their own challenges; the product is seasonal and less visually appealing. The consumer is therefore less likely to purchase organic products. A return to basic is a great way towards achieving sustainable development. It is quite often the simplest solution which leads to real challenge. A perfect example of this is the Yellow Shoes Project which teaches rural farming communities in Northern Thailand to build bio-sand water filters. An engineer we can constantly innovate and create better and more effective water filtration solutions. Or we can provide a framework for the community to design their own filtration system using the resources to hand. A sand filtration can improve the quality of the water and by built and maintained in remote communities. The challenge in returning to basics is the consumers’ attitude; we have encouraged throw away superficial consumerism. How can we change the consumer attitude and encourage a more sustainable consumer? Series 6/14: Grass Route Social Innovation – Understanding the road towards integrating genuine grassroots social innovation into sustainable development. Mini Series 1/3: Sustainability in Practice – The series researches the values and practices which lead to grass route social innovation. The principles of Human Centred Design starts with reflection; in order to design well you need to be aware of your identity and purpose as a designer. Over the last couple of years I have consciously set time apart to reflect on who I am as a designer, and the reason we need to create space to reflect is to listen. Listening is the second principle of Human Centred Design; it enables us to connect and empathise, understanding the end user in order to design solution which work for the community. Meeting with the different community led initiatives was a great opportunity to apply these principles. The first reason I was there was to reflect and learn from the people who were making a difference in their community. I was there to tell their story and to understand what could be applied into strategic planning and engineering to create solutions which empower the wider community. These Individuals where inspiring; meeting with the Zero Baht community I was humbled, they had built up a design solution which works for the community. They had derived a solution which creates shared benefit and leads to an equal and sustainable growth. This was ground-breaking innovation! Zero Baht shop is a shop which does not use Baht; the currency of Thailand. Instead the Zero Baht shop has an alternative currency; recycling. This offers a lifeline for the community; a life line which does much more than recycling product. 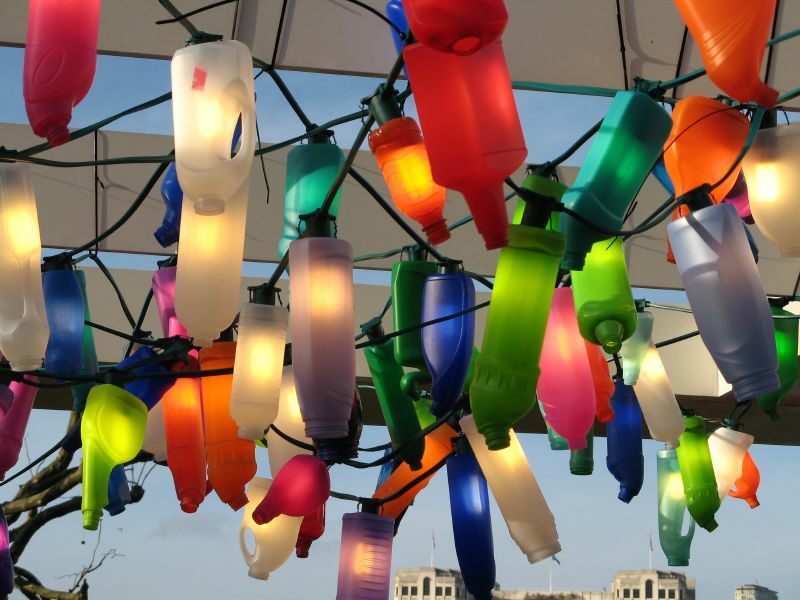 The Zero Baht shop is designed based on collective power, the shop sorts and manages large quantities of recycling, this can then be sold on to a recycling plant and secure a higher revenue stream. Community members can therefore make a living from collecting recyclable goods; this leads to a much cleaner environment and empowers individuals. The Zero Baht shop has also developed health insurance and built up a community centre in which products are crafted from upcycled recycling providing an extra source of income to the community. The Zero Baht shop has also developed a self-sustained organic farm in order to grow its own produce. In doing this the Zero Baht shop has been designed as a community hub; building up the connectors and breaking down dividers. The Zero Baht shop therefore creates a long term sustainable development, creating a wider sense of wellbeing and purpose within the community as well as securing opportunities for future generations. The Zero Baht shop is an example of the limitation of strategic planning; the recycling plant is a great resource to effectively manage waste, it is however not designed to empower the local community; it creates a sustainable future for the few not the many. The Zero Baht shop provides the missing link it enables the positive impact of the recycling plant to reach the poorest communities within Bangkok. This combination of strategic planning and organic development is a great example of processes which can lead to a smart city; where sustainable growth is combined with equal opportunity. Throughout this process the recycling plant can achieve a higher economic impact; recycling more waste, social impact; providing a livelihood for the community, environmental impact; reducing the amount of waste left on the streets. If we could capture organic development within the strategic development then we could achieve more community led initiatives and considerably impact on the sustainable future of our cities. Using the process of Human Centred Design in the strategic framework of the recycling plant we could achieve this. Designing with ground-breaking innovation and genuinely designing smart cities, cities which grow sustainably and offer equal opportunity. Series 5/14: Grass Route Social Innovation – Understanding the road towards integrating genuine grassroots social innovation into sustainable development. Mini Series 2/2: Peace and Conflict Resolution – The following series will research the themes of Peace and conflict resolution in order to understand how they relate to sustainable development. Peace and conflict resolution is an integral part of achieving sustainable development. The absence of physical and cultural violence provides a safe place to work together and design a more sustainable future. However to achieve a long term sustainable vision we need to move away from traditional structures which promote business as usual, and unsustainable growth. To achieve this we must bring about structural change through the principles of Peacebuilding. Designers shape the environment in which we live, it is therefore important to apply Peacebuilding within Design. If designers can grasp these concepts, we will be able to build a culture of Peace and sustainability within our environment. What are the principles of Peace and Conflict resolution and who can they be applied within the design process? hese principles are in essence already applied into the construction industry through the way we manage Health and Safety. Over the last decade the UK construction industry has strived towards Zero Casualties, ensuring all staff get home safely at the end of each day. To achieve this we have built up a Health and Safety culture into the design process; from conceptual design through to the construction and demolition. At each stage we consider the risk and alternative options to reduce the risk. The same methods are applied in order to understand our environmental impact, there is however a limited integration of the social impact throughout the design process. The theory of connectors and dividers could enable the construction industry to build the Do not Harm principle into the design process. This would enable us to go beyond ensuring Zero Casualties and enable us to build up design solutions which have a long term positive impact on society. How can we build these principles into engineering and enable designers to identify with these concepts? Jenn was inspiring in her approach to peace and conflict resolution. As we challenged her in the practical application of Peace and Conflict resolution she was quite clear in knowing the limits of her knowledge. Jenn didn’t apply the theories if she didn’t understand the social environment in which she was designing. I have met some inspiring Health and Safety managers over the last year and the one trait that leads to excellent Health and Safety management is being aware of the risk and knowing that you cannot solve the challenge yourself. An excellent Health and Safety manager works on getting the staff on board with the solution. Peace and Conflict works in the same manner, Jenn understands that achieving a sustainable Peace is challenging and requires each of us individual to develop in our behaviour and attitude. Sustainable Development should apply the same principles in order to get the community on board with the design process. As designers we need to be aware of our limitation in achieving sustainable development. We need to be humble in the way we approach and work with the wider community. This will enable us to build up solution in which there is a wider understanding of the importance of sustainable development, in which we can capture the human resource within the design process.